NIMD’s has launched a new project in Mozambique, which will aim to strengthen the Parliament’s role in overseeing extractive industries in the country. The project is funded by the Finnish Ministry of Foreign Affairs. 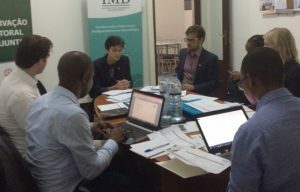 It will be implemented in partnership with Demo Finland, the Embassy of Finland in Maputo and the Institute of Multiparty Democracy (IMD), NIMD’s implementing partner in Mozambique. Through this project, NIMD, IMD, Demo Finland and the Finnish Embassy wish to contribute towards a strong and functioning system of parliamentary oversight of environmental governance to ensure the sustainable management of natural resources. International and national networking and collaboration on natural resources management. As a result, we hope that elected representatives and relevant technical staff at all levels of decision-making in Mozambique will be betterable to actively oversee the government’s role in extractive industries, based on citizens´ engagement. The Launch took place in Mozambique’s capital, Maputo, on 28 March and brought together a number of high-level figures, including National Assembly MPs, Presidents of five of Mozambique’s Provincial Assemblies, with representatives from the implementing partners, embassies and other NGOs. The meeting represented the first time that Presidents of the Provincial Assemblies have been included in a project on an equal basis with National Assembly MPs. As such, it was an interesting opportunity for the two groups to come together with a shared objective. The day was opened by speeches by António Amélia, the Vice-President of the National Assembly in Mozambique; Laura Torvinen, Ambassador of Finland in Mozambique; and Hermenegildo Mulhovo, Executive Director of IMD. Following discussions on the baseline report, which provides information to help to monitor and assess the successes of the new project, the participants were given an overview of the current legislation on extractive industries in Mozambique. The MPs of the provincial assembly and representatives from the Committee for Constitutional Issues, Human Rights and Legislation and the Parliamentary Committee for Agriculture, Economy and Environment went on to have a two-day meeting to discuss current legislation in Mozambique on extractive industries, oversight responsibilities of MPs, and coordination between the Provincial Assemblies and the National Assembly. 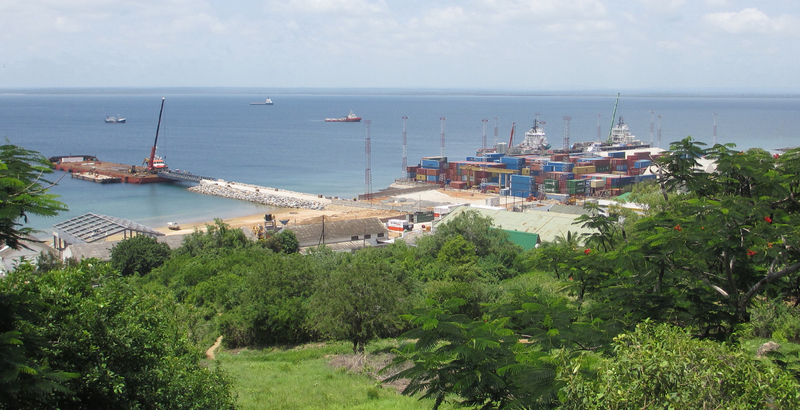 Background information: Why this project in Mozambique? In many developing countries, natural resources are prioritised on the political agenda as a cornerstone for economic growth. Such natural resources-based development models generally imply high dependency on global commodity prices, vulnerable and undiversified economies and elitist political-economic networks. Long-term sustainability and the high risks posed to both the environment and local populations are often trumped by short-term economic or political interests. In addition, the choice for extractives-based development models is often closely linked to the high demand for natural resources originating in developed and newly industrialized states. With recent discoveries on natural resources, the Mozambican economy focus is centred on its primary sector industries, namely its gas, petroleum and mineral extraction sector as well as its forestry sector. Mozambique has considerable natural resources, but effective exploitation of its mineral and gas sectors did not begin until the civil war ended in 1992. The extractive industries still operate below their potential; the government received less than $40 million in revenues from petroleum and mining in 2009. The entry of large multinational companies has boosted the sector and gas exports reached 107.4 billion cubic feet in 2010, when extractive products made up 74 percent of exports. Newly discovered gas reserves are estimated at 4.5 trillion cubic feet. According to the Natural Resource Governance Institute, Mozambique’s scores are falling on the various criteria compared with 58 other countries. There is a clear need for improved democratic environmental governance. The legislative branch does not review contracts and provides little oversight of the extractive industries. All public entities are audited and the reports are presented to the legislature, but lawmakers do not always follow recommendations from national auditors and not all audit reports are available to the public. Government officials involved in the sector are not required to disclose potential conflicts of interest.